Join, Renew, or Donate Online! Good news for all who prefer handling your financial transactions online! You can now join the Historical Society as a new member, renew your membership (membership renewal letters for 2017 will be coming soon), or make a donation through our website. To become a new member or renew your membership, go to our join or renew page. 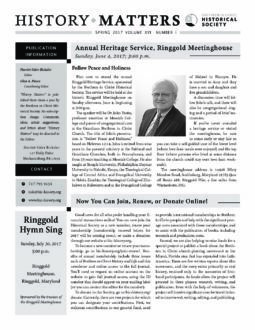 Benefits of annual membership include three issues each of Brethren in Christ History and Life and this newsletter and online access to the full journal. You’ll need to request an online account on the website to gain full access, using the ID number that appears on the mailing label of your journal (or you can contact the editor for the number). To donate to the Society, go to our “donate” page. Currently, there are two projects for which you can designate your contributions. First, we welcome contributions to our general fund, used to provide memberships to Brethren in Christ people beyond Canada and the United States and help with the significant postage costs associated with those memberships, and to assist with the publication of books, including research and production costs. Second, we are also helping to raise funds for a special project to publish a book about the vibrant Brethren in Christ church-planting movement in the Miami, Florida area that has expanded into Latin America. There are few written reports about this movement, and the story exists primarily as oral history, retained only in the memories of first-hand participants. As funds allow, the project will proceed in three phases: research, writing, and publication. Even with the help of volunteers, the project will involve significant cost for travel (related to interviews), writing, editing, and publishing. On August 12, 1899, a little girl was born to Conrad Z. and Ada Sue Keen Hess. They decided to name this little one Beula. 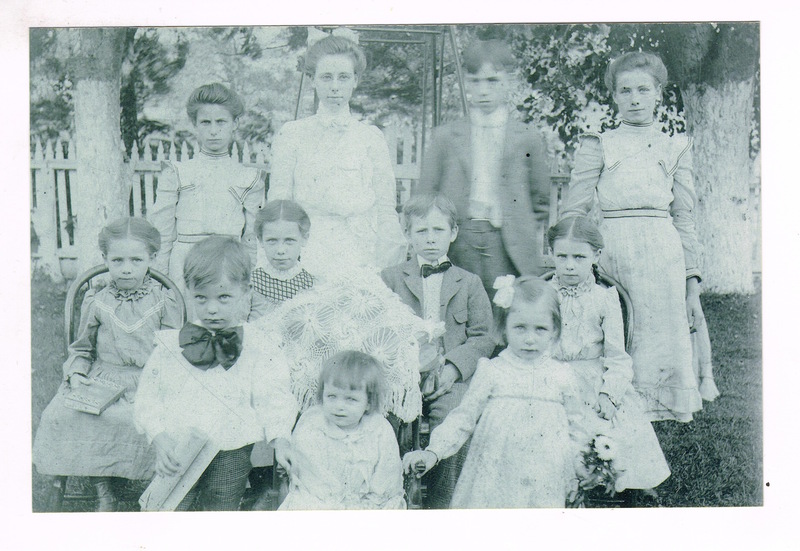 We were a large family, 12 in number, and we lived in beautiful Lancaster County on a 98-acre farm in Pequea Township. Dad dy was a good farmer and a good manag er. There were three boys and nine girls in the family and there was work for all as we grew to maturity. We girls even worked in the fields. When Daddy was short of help, two girls would help with the threshing in place of one man. We also had a herd of Jersey cows; I think it numbered in the 20s. If they didn’t produce a high butter fat, they left the farm. We milked with hand power in those days. We separated the milk and turned the cream into but- ter. We would have from 125-150 pounds of butter a week. The skim milk was made into various kinds of cheese—ball cheese, cup cheese, cottage cheese, and sometimes Mother would make egg cheese. We took our produce to a market in Lancaster City. It may be interesting to note that butter sold for 45 cents then, the balls of cheese were 10 cents and cup cheese was 10 cents a cup. Much different than the prices today! We didn’t receive a weekly allowance back then like children do today but there was opportunity to earn by work- ing. We had a little garden plot where we grew and sold vegetables and we collected cast-off materials to sell to a little old man who came around in an old spring wagon through the neighborhood calling, “Rags, bones, and old iron.” I can still hear his voice. Being a large family, there was much work but we had to have time for fun too. I was one of the younger ones so we had more time to play than some of our older brothers and sisters…. Daddy was a deacon in the Pequea [Brethren in Christ] Church near our home. Morning services were held there every four weeks and these services were a special time at our home. Mother would open a large table in the dining room on Saturday and a great deal of preparation was done because a number of folks would come upon invitation for dinner after church on Sunday. Usually the table was filled with a large platter of meat, potatoes, a couple of dishes of garden vegetables, pickles of various kinds, cakes, pies, and homemade ice cream, as well as butter, homemade cheese, and other good things. We youngsters always looked forward to the evening of visiting. The folks would tell of interesting things happening in the community and sometimes family affairs. After I finished the eighth grade in a one-room country school, I spent the next two years helping my parents. They were leaving the farmhouse and moving to another house on the edge of the property. After the farm sale, there was considerable repairing and changes to be made in the house and I was needed there. This house is now the parsonage of the Pequea Brethren in Christ Church. I then chose to go to Pennsylvania Busi- ness College in Lancaster. For the first several months I walked three miles twice a day to the trolley on Willow St. for the ride to Lancaster. When I completed this course, I was employed by Armstrong Cork Company in their accounting depart- ment for three and a half years. During this time Henry and I were part of a group of young people from the rural churches who helped with Sunday school and youth activities at the Lancaster Mission on Sunday afternoons. In the morning we worshiped in our own home churches. When we decided to marry and announced our engagement, company policy did not permit women to continue working in their offices after marriage. The office manager called me aside and offered me higher wages if I would decide to stay instead of marrying. I decided, though, not to change our plans. We were married January 19, 1924 by Henry’s father, Bishop C. N. Hostetter, Sr., at my parent’s home, with only family members in attendance. Our wedding trip was a one-week trip by train to visit Philadelphia, New York City, and Niagara Falls. For our first two years of marriage we worked with my brother, Zeigler Hess, on the Hess homestead. This farm had been deeded to my ancestors by William Penn and even today it remains in the Hess family. During this time we attended the Pequea church where Henry was Sunday school superintendent and I was a Sunday school teacher for a class of young girls. This congregation was small and needed us. On October 8, 1926 our daughter, Alice Grace, was born. Her delivery was difficult and she would be our only child. She was a wonderful asset to our family. That same year there was another change in the Hostetter family: C.N., Sr. was leaving the farm, and older brother Harris was going into the agri-business. Younger brothers, Henry and John, then became co-farmers. The two farmhouses on the property offered separate living quarters. Henry and John worked together for three years when John felt a call to go to Clarence Center. From then on, Henry managed the farm alone with the assistance of hired hands who lived in the adjoining house. These excerpts from Beulah Hostetter’s “Memories” provide an excellent reminder of the value of recording (writing or audio/digital recording) one’s own stories. Your family members will enjoy learning of your life experience. The writing can be informal, and if you’re uncomfortable writing, your children or another relative or friend can interview you. If your older relatives are still living, take time to interview them while you can. Whether you’re your own memories or interviewing others, be sure to include church memories! 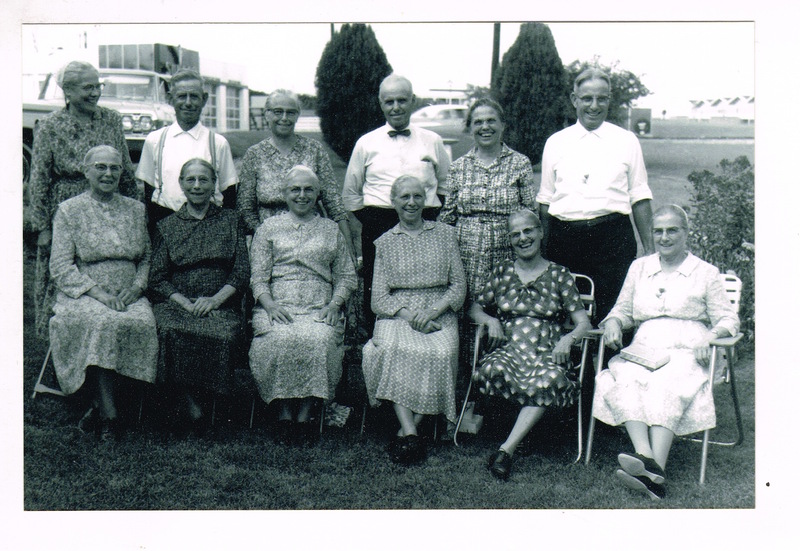 The Archives welcomes informal memoirs that include Brethren in Christ Church memories. Five years after we were married, Henry was ordained to the ministry—chosen by ballot by the people of Manor-Pequea District. 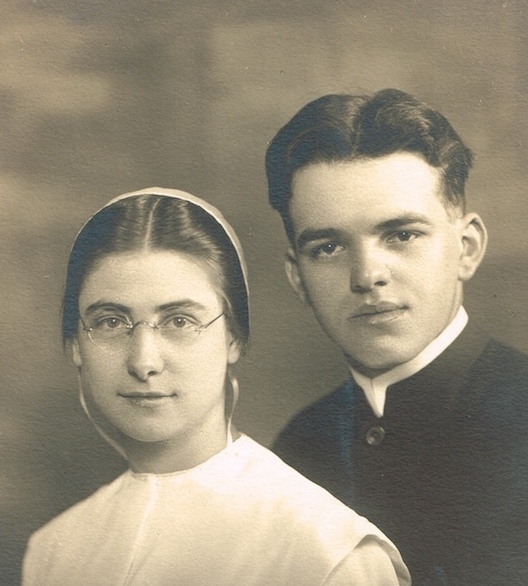 Henry and John were ordained in the same service at the Manor Church on March 30, 1929. 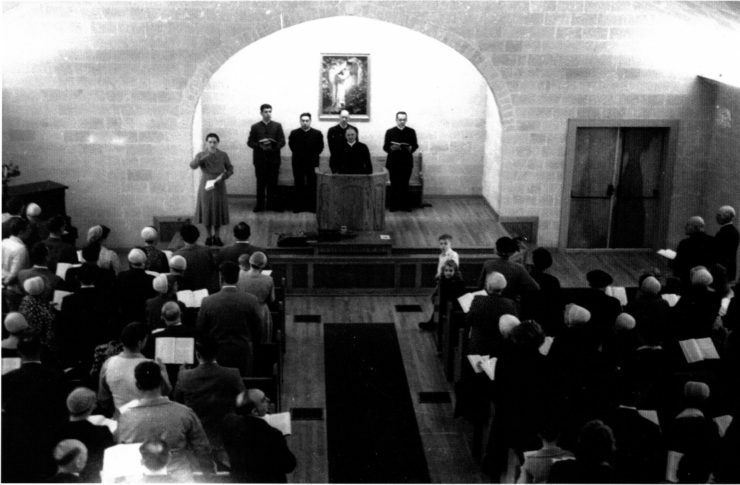 Until this time we had continued to worship at Pequea, but now it was necessary to be available to preach in any of the five churches in the district. During revival time we attended all of them as well as a tent meeting held in the summertime. Henry was chosen to serve on the Board for Young People’s Work early in his ministry. He also held 110 revival meetings which took him from home quite often. Because Henry was away so much we were greatly blessed to have a good farmer to work for us. He enjoyed farming and was a good manager. He and Henry worked out a bargain to do half and half farming in which half the proceeds would go to the farmer and half to the land owner. This worked out very satisfactorily. Ezra Byers and his family were with us for 17 years. In 1948 Ezra bought his own farm and John Hess and his family came to take over the farming. John was also a very considerate and conscientious man and all worked out very well. Again, we had no problems, but lots of work. We had a large fruit orchard, a herd of cows and 1000 chickens. We were equipped with milkers which eased the work load. We attended the Third St. Market in Columbia where we sold our produce— apples, dressed poultry, and garden veg- etables. We also boiled 12-13 bushels of apples for apple butter in the fall. John and I would do the marketing when Henry was gone. I remember one winter day when we had a severe ice storm and the commu- nity was without electricity for five days. Because we had no power, we had to do the milking by hand. Eva, John’s wife, had been a nurse before marriage and had nev- er milked cows and his two boys were too young at the time, so John and I worked alone…. One time the telephone rang about 2:00 a.m. Who was on the other end but my husband. He had gone to New York City to see some folks off to Africa. He said, “ Look on my desk and see if the tickets are there for these folks who are leaving?” My response was, “Yes, they are here.” I needed to bring them to New York because there wasn’t time for Henry to return home to get them and then get back to New York in time. It was too ear- ly to leave for Lancaster Depot so I went back to bed, but no sleep. I asked the Lord for guidance. Henry had said that if I saw someone at the depot I knew was com- ing to New York, I could send the tickets with them and not have to make the trip myself. I was at the depot early so I had plenty of time to look around. Finally I saw a fine-looking young couple. I made myself acquainted with them and they told me who they were and said they were on their way to New York City. Just what I wanted! I told them my problem and they were very kind. They said they would take the tickets with them so I explained where they would find Henry. The Lord had gra- ciously answered my prayers and every- thing worked out well. I was soon on my way rejoicing! God is so good in supplying our needs. The tickets got to Henry in ample time for the missionary party to be on their way…. I was quite pleased that I had the privilege of travel- ing with Henry and Dr. and Mrs. Paul Lenhert one time. I hadn’t realized the work in Africa was so large. We spent about two months in Zambia. It was so enjoyable and I praise the Lord that I had this time to travel and was able to see that part of the world. In Egypt we each rode a camel over to the Pyramids. It was a lot of fun. When we left Africa we spent two days in the Holy Lands. It was far too short a time to see all the places we would have liked to visit but it was close to Christmas and we wanted to be home for the holiday. After stops in Switzerland and France, we arrived home the night before Christmas. We were supposed to have arrived home in the early evening but traffic was heavy and it was about midnight when we arrived. John and Eva, with the folks who lived in our house while we were gone, had our house nicely decorated for Christ- mas. At the fireplace there were two large red stockings stuffed with useful articles. They had fresh fruit on the table and the refrigerator was stocked with butter and milk and other things I would need to start housekeeping again. In 1938, the Detroit, Michigan mission work begun in faith by William and Willa Lewis was placed under the umbrella of the Home Mission Board. Soon thereafter, the mission was named “God’s Love Mission.” By the late 1940s, Sunday school and church attendance had grown to the point that the board approved a church building at a cost of $25,000. A report in the October 30, 1950, Evangelical Visitor describes the church as a “beautiful block and brick building which bespeaks the dignity of the Brethren in Christ Church.” This photograph was taken during the dedication program, November 19, 1950.